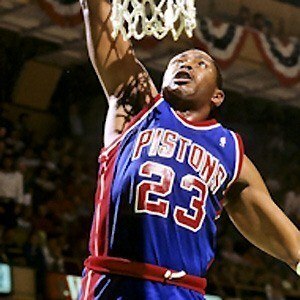 Three-time NBA All-Star who won two NBA titles with the Detroit Pistons in 1989 and 1990. He averaged 24.5 points per game while playing at DePaul University. He was named College Player of the Year by Sporting News in 1981 while attending DePaul University. He raised four children with his wife Angela. He backed up All-Star forward Dennis Rodman on the Detroit Pistons.